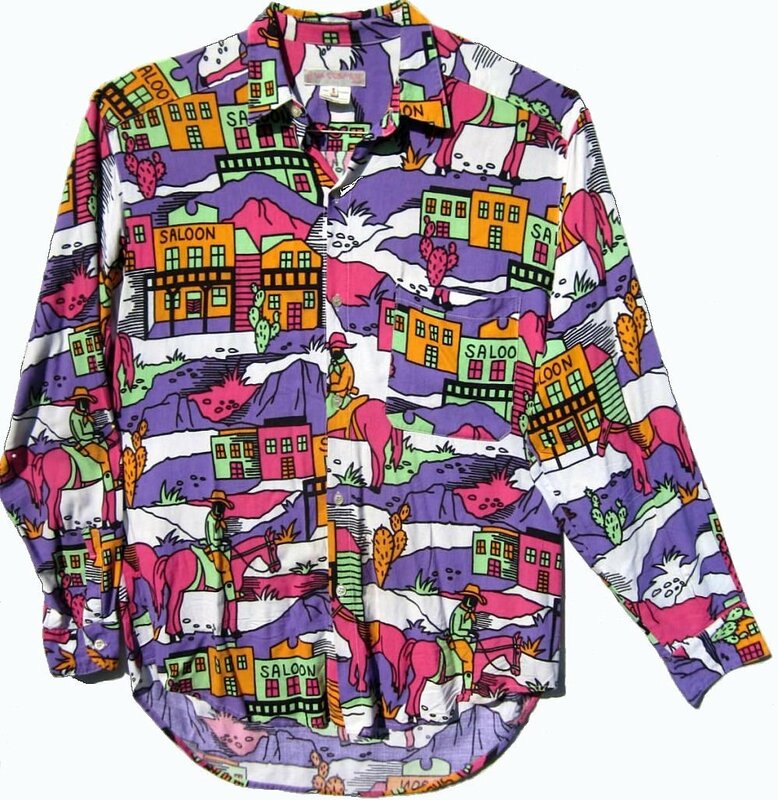 This is one of the loudest shirts I have ever seen. The 80s gem combines an explosion of fuchsia, true purple, bright orange, mint green, black and white. The rayon fabric has a sturdy soft cotton feel. Very nice. The fit would be a today's L, maybe and XL. It is approximately 46" around at armpit level for a loose 42 Chest Fit. The shoulder is 21.75". The shirt length is 31". The sleeve length is 33". The shirt is a little musty. I don't want to wash it. I would suggest steaming it or having it dry cleaned. The Via Cosmos Shirt was made in France. Indicated fabric is viscose, but I think it's a heavy rayon.